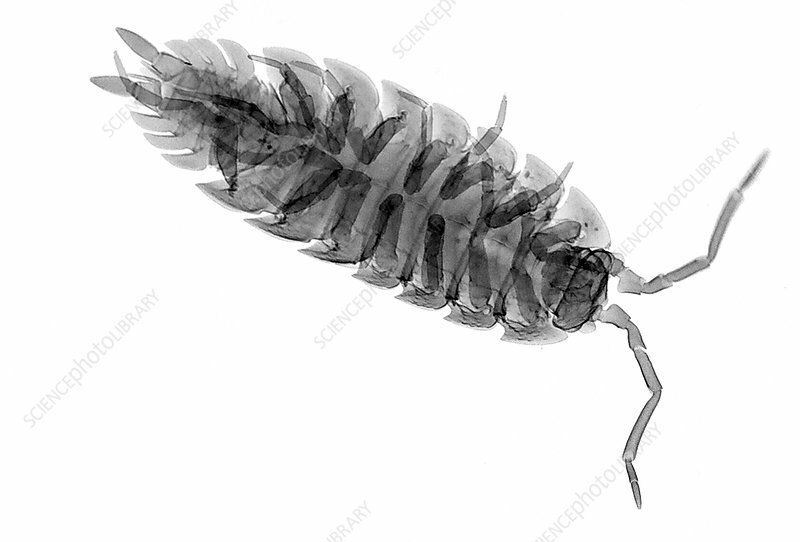 Woodlouse, X-ray. Woodlice are isopod crustaceans that feed on dead wood and plants, performing a vital role in the decay cycle. They are found in damp, dark conditions worldwide.